Zimbabwe’s President Robert Mugabe, a man traditionally known for his tough anti western stance, particularly the International Criminal Court (ICC), understandably because his hands are tainted with the same blood that makes people like Sudanese president Omar al-Bashir , a most wanted individual to face justice before the ICC for war crimes and crimes against humanity, addressed a few issue raised by journalists with respect to the Sudanese president. Robert Mugabe, admitted that President Al-Bashir is a wanted man by the ICC and that Civil society Non Governmental Organisations, (NGOs) had chosen to press the of law to enforce the warrant of arrest against Al-Bashir, but according to Robert Mugabe, South Africa’s President, Jacob Zuma assured the African Union (AU) summit delegates, that the Sudanese President would not be arrested. “This is not the headquarters of the ICC and we do not want it in this region at all,” Mugabe said. President Al-Bashir , whilst on court orders not to leave South Africa before a court decision was made with respect to the ICC warrant, calmly left South Africa on board a flight departing from the Waterkloof Military Airbase and arrived safely back in Sudan to a rousing homecoming welcome from supporters in Sudan. 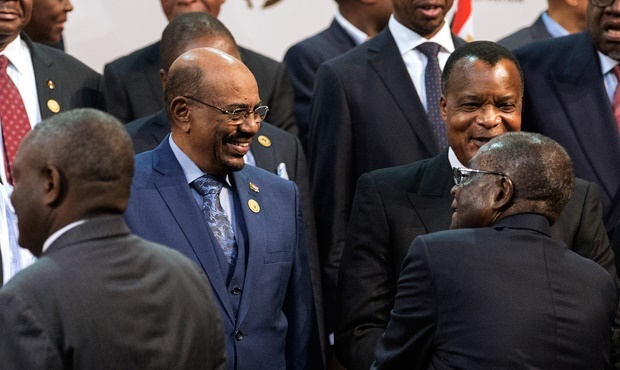 Suffice it is to say, that the whole world was excited about the prospect of Al-Bashir’s arrest, but the African Union (AU) led by its Chairperson, Zimbabwe’s President Robert Mugabe, kept its cool and continued as if nothing had happened, knowing very well that the Sudanese President was safe from arrest. Sibusiso Ngwenya.